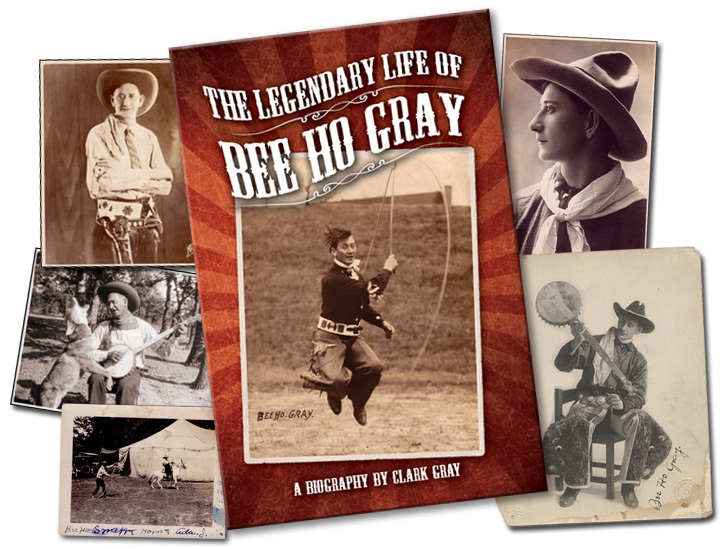 The Legendary Life of Bee Ho Gray is a new biography about one of the most versatile and interesting figures in the history of Western performance. After years of genealogical sleuthing, the author discovered long-lost suitcases full of personal scrapbooks, memorabilia, and diaries. These documents, along with interviews with the few remaining old-timers who knew Bee Ho, are used to weave together the amazing story of this once-famous American legend. Bee Ho Gray played a key role in shaping the worldwide conception of the Wild West. Born in Indian Territory (now Oklahoma) in 1885, he was named by Quanah Parker, last chief of the Comanche, and used his experiences there as a springboard to a fifty-year career. Bee Ho performed in many Wild West shows including the famous Miller Brothers 101 Ranch. His daily companions were legends like Buffalo Bill, Will Rogers, Tom Mix, Bill Pickett, Iron Tail and many others who defined the legacy of the American West. The amazing life of this World-Champion Trick and Fancy Roper, trick rider, knife thrower, whip artist, banjoist, actor and comedian might have been lost forever. But in this biography, history is lovingly and precisely revealed.